Yevhen Hromov was born in Khmelnytskyi region. He studied at Kyiv secondary special Music School named after M. Lysenko. In 1991-1996 he studied at Petro Tchaikovsky National Music Academy of Ukraine. Yevhen Hromov attended master classes and workshops of Pierre Boulez, Helmut Lachenmann and Péter Eötvös (Lucerne Festival Academy, 2005-2007, Switzerland). The repertoire of the pianist includes the works of composers from the 17th century to modern times. Hromov pays special attention to the music of the 20th and 21st centuries, performing works of C. Debussy, A. Scriabin, A. von Zemlinsky, L. Janacek, A. Schoenberg, A. Berg, A. Webern, M. Ravel, B. Bartok, K. Szymanowski, M. Roslavets, A. Lurie, A. Mosolov, S. Prokofiev, I. Stravinsky, L. Revutskyi, B. Liatoshynskyi, O. Messiaen, L. Dallapiccola, G. Ustvolskaya, B. Zimmermann, P. Boulez, K. Stockhausen, J. Cage, M. Feldman, G. Kurtag, E. Denisov, N. Karetnikova, A. Schnittke, A. Knaifel and others. He has given 100 world and Ukrainian first performances. Yevhen Hromov cooperates with many Ukrainian and foreign composers. He has given solo concerts on various international and Ukrainian music festivals: in Ukraine, Belarus, Italy (Milan), Poland (Warsaw, Krakow), Switzerland (Zurich, Basel, Rünenberg), Netherlands (Amsterdam), France (Paris, Orleans) and others. 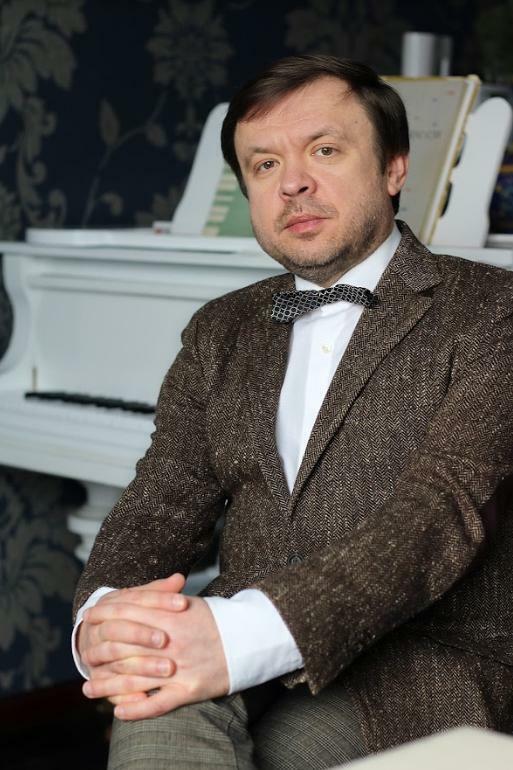 Yevhen Hromov has recorded piano performances of works of R. Wagner, A.
Schönberg, A. Berg, A. Webern, L. Revutskyi, L. Hrabovsky, V.
Hodziatskyi, V. Silvestrov, V. Guba, Ye. Stankovych, P. Solovkin, V.
Zagortsev, S. Krutikov, A. Knaifel, P. Boulez (TNC Recording, USA). Yevhen Hromov is a laureate of L. Revutsky State Prize (1998) and StART Prize (2003).